They are the world's best - the professional investors at the head of global investment funds and the mavericks operating from behind nothing more than a laptop and a point of view; some with millions of pounds at their disposal and the fate of companies and customers' savings hanging on their decisions, others with nothing more (or less) than their reputation and their own fortune on the line. What sets them apart from the thousands of other investors out there is their track record. 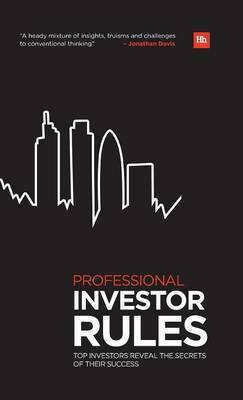 The professional investors who have contributed to this book include multiple award winners, fund managers who have managed to double or triple investment returns every two years, as well as the heads and founders of firms with billions - occasionally trillions - under management and half a century of profits to which they can point. There are no better investors to learn from when making your own way in the markets, and this book is the indispensable collection of the secrets behind their success, straight from the investors themselves.Featuring the investing rules of award-winning experts in Asian, Latin American and Western markets, contrarian specialists, mutual fund managers and more, "Professional Investor Rules" is a compelling snapshot of some of today's best investing minds. No investor can afford to be without it.